Getting older comes with its perks, but it can also be unpleasant as your body, and the way that you look, starts to change. It is best, though, to embrace aging with a healthy perspective. 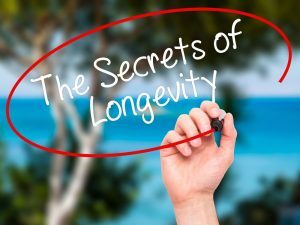 Rather than viewing aging as something that’s totally negative, and something that you want to avoid, continue reading for a few strategies that you can implement in order to change your view of what it means to grow older. In order to embrace aging, it’s important to focus on the person that you truly want to be. Every year, you have an opportunity to work on becoming the best version of yourself, so this aspiration does not have to end by a certain age. Just because you are older certainly doesn’t mean that you can no longer evolve and change who you are and what you do. It’s never too late to change! Changing who you are does sometimes require that you release what is no longer serving you. Whether it is a person who is treating you poorly, or a habit that you know is bad for you, let go of what isn’t helping you become the person you hope to be. According to Care2, you can also continue focusing on your dreams as you get older. What is it that makes you feel fulfilled? If you haven’t accomplished everything that you’ve dreamed of yet, it’s never too late. Keep going. Another way to embrace aging is by continually learning. It’s never too late to learn something, and you are never too old to test your skills in new ways. Whether you learn how to paint, you take a college course to learn about a topic that inspires you, or you take dance classes is entirely up to you. Whatever it is that you are doing, use it as an opportunity to train your brain in new ways, and to discover even more about yourself. Have fun, and don’t be afraid to get out there and try new things on your own or with a loved one or friends. As you can see, there are several ways to embrace aging, and there is no reason to view getting older as something bad. Recognize your blessings, which include the fact that you are able to experience the many stages of life.